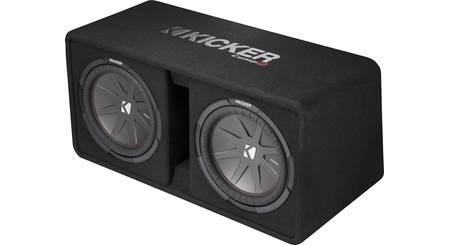 Kicker optimized the 44DL7S122 enclosure for their legendary 12" Solo-Baric™ square subwoofers. 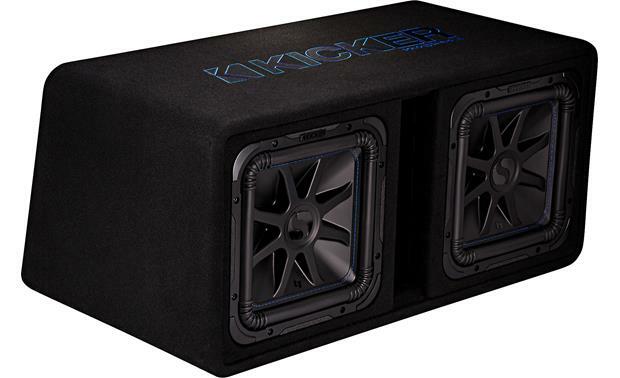 Kicker optimized the 44DL7S122 enclosure for their legendary 12" Solo-Baric™ square subwoofers. This 2-ohm sub enclosure handles up to 1500 watts RMS without breaking a sweat, and the innovative square cones move much more air than conventional 12" round cones. Power this enclosure with a nice amp, and you will experience world-shaking bass. The woofer's forged aluminum frame and Santoprene™ rubber surround handle high-level playback, while keeping the cone on track. The injection-molded SoloKon™ polypropylene cone features 360-degree, constant-contact back bracing for strength and responsiveness. And the UniPlate™ back plate and pole piece are made as a single, solid unit to allow heat to escape the motor. Translation? Kicker designed these subs to take some serious punishment. Kicker covers the solid MDF enclosure with black carpeting, along with an embroidered Kicker logo. Heavy internal bracing gives you a solid base for the subwoofers. Rounded corners help the enclosure to fit in tighter spaces. The specially engineered port increases bass response, and the enclosure's 2-ohm impedance allows you to draw maximum power from your amplifier. Strong, innovative, and powerful, Kicker made the 44DL7S122 enclosure to deliver no-holds-barred bass. What is the difference between these and the cheaper kickers? 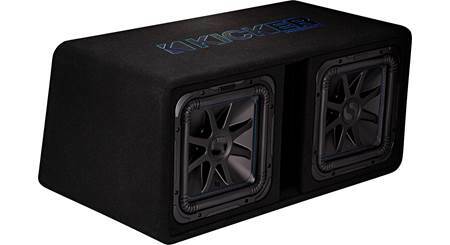 will a Kicker 43CXA1800.1 amp power these subs properly? Are these capable of 1ohm? 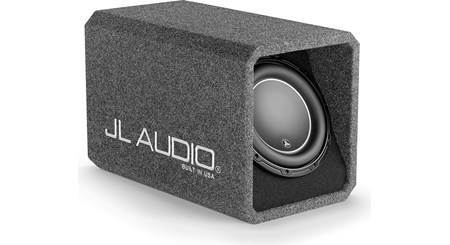 what would be the best amp for these subs? 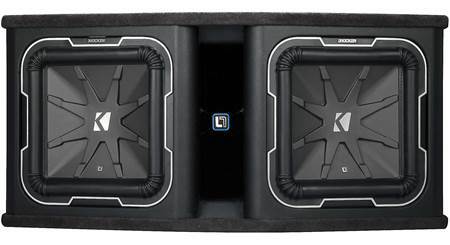 Searches related to the Kicker 44DL7S122 Ported enclosure with two Solo-Baric L7S Series 2-ohm 12" subwoofers.